Chiang Mai Monkey Centre in the beautiful Mae Rim Valley is where visitors can meet some of Thailand's more exotic residents including a large number of highly intelligent macaques. How to get to Chiang Mai Monkey Centre? 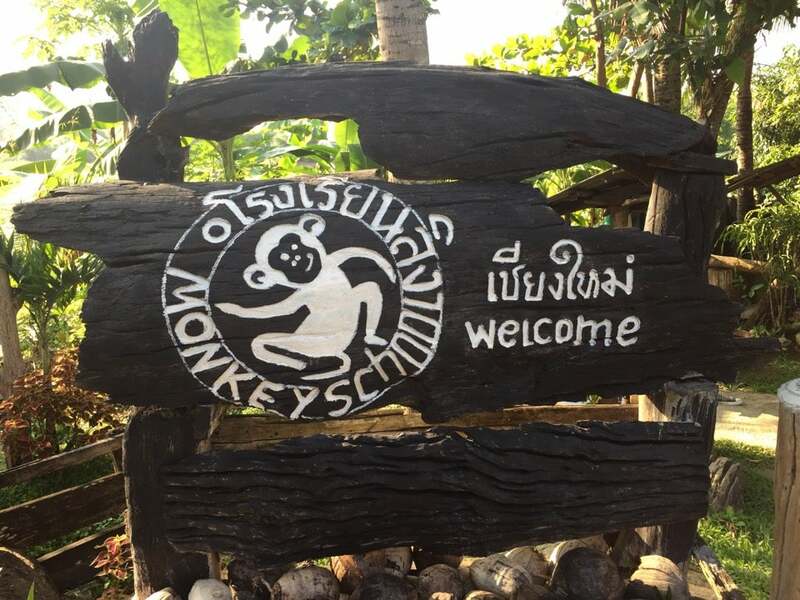 Monkey School is located on Maerim – Samoeng Road, on the way to Maesa waterfall; 5 kms from Chiang Mai - Fang road, Amphur Mae Rim, Chiang Mai. If you wish, you can ask one of their friendly staff to let you hold or feed them for moments that make great photos. A business yes, and so enjoyed watching monkeys swim/dive underwater an aspect of their behavior I was unaware of. Having my feet bound by rope and my hands as well, the monkeys released me to my amazement and good fortune.An up close and personal experience unavailable anywhere in the USA , although a modest facility, you become inside a monkeys living realm along with a few tourists. Well worth it while in Chaing Mai !